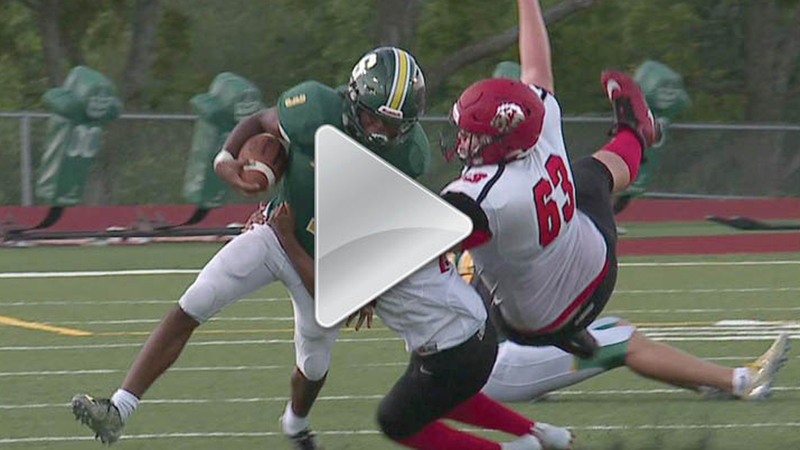 In its first meeting with Lansing Thursday night, Shawnee Mission South was looking to something it hadn't done in quite some time. Start a season 3-0. Well, with its 27-0 shutout of the Lions, the Raiders did just that. But don't let the score fool you, it didn't come easy. "Offensively, we have just been struggling early and trying to figure it out," Raiders head coach Brett Oberzan said. "We just have to eliminate penalties. It seems like we'll get something going, and then something will happen like that, but kudos to those guys. On defense, they flew around and did a nice job. They played hard." Throughout much of the first half, the Lions (1-2) were able to move the ball fairly well on the ground, mainly on the legs of senior running back Konner McQuillan who finished the game with 80 yards on 18 carries, but every drive ultimately stalled via punt, turnover or downs. It wasn't until late in the first quarter when the South offensive engine start to rev up. 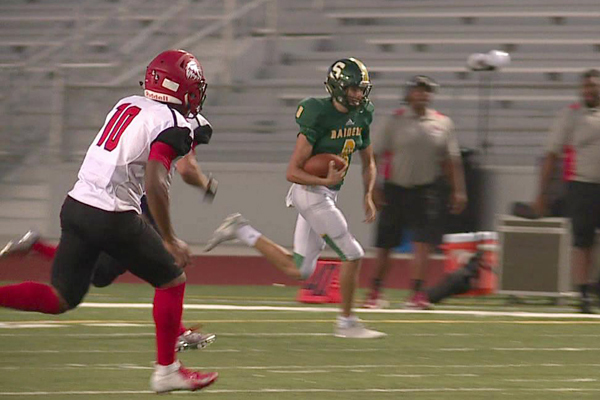 Senior quarterback Jack Roberts spotted the 6 foot, 6 inch junior wide receiver Will Huggins in an opening in the middle of the field and floated a pass that he caught in stride for a 44-yard touchdown. He did it again right before the half for a 20-yard strike. "Me and Jack (Roberts) noticed openings early in the game, we just checked on them, and he threw the ball deep," Huggins said. "We were able to run the same play for two touchdowns, and it worked out really well." Roberts, who threw for 128 yards and ran for 109 more also scored on the ground. Lansing was having trouble stopping him all night no matter what he did with the ball. "On our offense, the main goal is to take what they give us," Roberts said. "If they're giving up the run, I'm going to take off and run. If they're giving up the pass over the middle like they did to Will (Huggins), I'm going to throw it, and that obviously worked out two times for the pass down the seam." Now is not time for the Raiders to rest on their laurels as the schedule only gets tougher as they head into the teeth of their Sunflower League schedule, and Oberzan knows it.